For seriously eye-popping visuals, 4K gaming monitors are the way. Luckily, for gamers and PC enthusiasts, there are plenty of 4K gaming monitor options! In fact, some of them are perfect for gaming thanks to graphics card sync capabilities and other features. Not all gaming monitors are the same. UHD, 4K, and QHD are all terms used for monitors that have a resolution higher than HD, or 1080p. Let’s take a quick look at these terms. UHD – Ultra-high-definition. This is the actual term for the resolution of 3840×2160. It is based on 1080p HD resolution. QHD – Also WQHD, is quad HD. However, the resolution is lower as it is based on 720P instead of 1080p. The resolution is 2560 x 1440. 4K – The real 4K display resolution is 4096×2160. But you won’t find that in most gaming monitors or televisions. Its mostly used in professional video production gear and digital theaters. Can you tell the difference? Well that depends on what you’re really looking at and how closely you look. Both QHD and UHD are 16:9 which means they are both backward compatible with standard HD content whether 720p or 1080p. 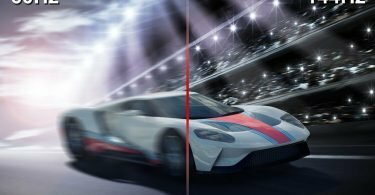 AMD and Nvidia both offer a syncing technology which matches the frame rate on the monitor with what is being pushed out by the graphics card. This helps ensure that picture quality remains optimal throughout the viewing experience. Here are some of the best 4K gaming monitors available with Gfx syncing. The Acer Predator series features Nvidia G-Sync, ample connectivity options, UHD resolution and IPS technology (for improved viewing angles). Additionally, the Acer Predator has the Acer Ergostand which allows for raising/lowering, swiveling and tilting of the monitor. 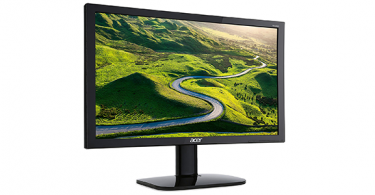 Acer also makes a 32-inch version of this monitor with all of the same features in a larger screen format and price tag. Check out the 32″ Acer Predator 4k Monitor. 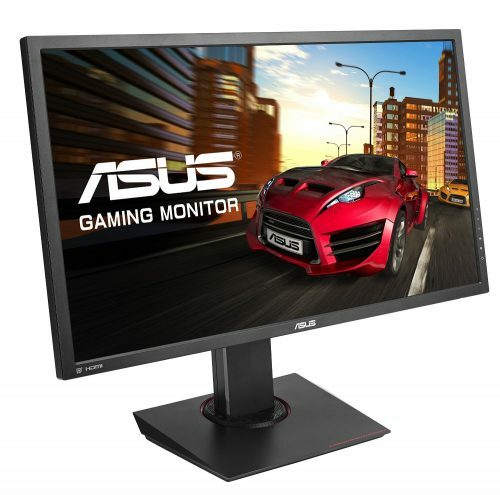 ASUS ups the ante a bit with a 28-inch UHD gaming monitor in the MG28UQ. They opted to use AMD’s free Gfx syncing technology, Freesync in its monitors along with its own Eye Care tech which lowers eye fatigue allowing for longer gaming sessions. It also features a stand that can tilt, swivel, pivot and adjust height. Tech specs include 1ms response time and a host of connectors including HDMIx2, DisplayPort, USB3.0x2. Plus, ASUS also has their built in GamePlus on screen display technology. This adds a crosshair overlay, an on screen timer to remind you of something important, like those chicken wings in the oven, and an FPS counter so you can see how well your rig is performing. 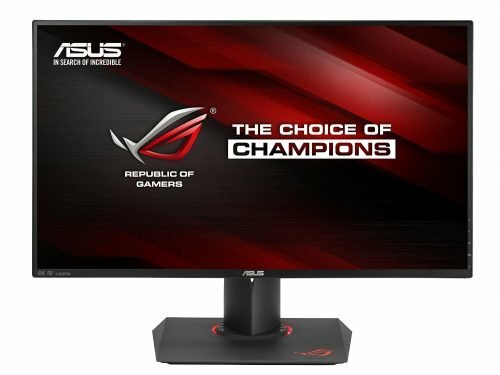 Of course, ASUS also makes a 27-inch monitor with Nvidia G-Sync, mostly to ensure they can hit both halves of the Gfx sync business market. It’s still UHD resolution, uses IPS panel technology, the ASUS Eye Care tech and offers DisplayPort 1.2, HDMI 1.4, dual USB 3.0 ports, and Audio I/O and the multi-faceted display stand like the other monitor. Really, the only difference is the 1-inch in screen and the choice of sync technology. But if you’re using an Nvidia graphics card, you might want to opt for this one over the other one. 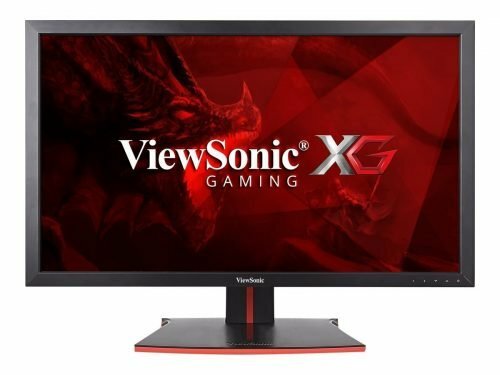 ViewSonic also has a reasonable priced 27-inch 4K UHD gaming monitor. I guess they thought it best to use both terms just in case. 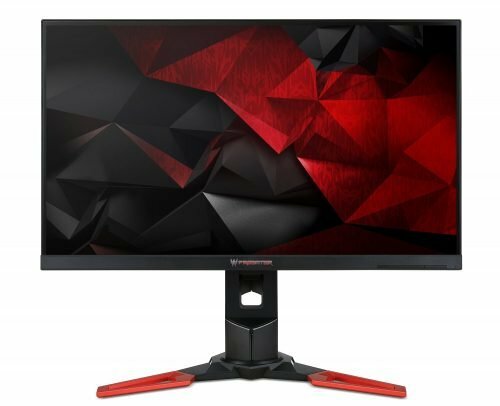 It’s also an IPS panel monitor giving it a larger viewing angle, offers AMD FreeSync and a 5ms response time (which might sound like a lot but is still undetectable to the human eye), and Game Mode, ViewSonic’s on screen color settings to make sure the picture looks best when playing first-person shooters, real-time strategies, or MOBAs.